there's 8 in a bag! These superb and unique new picks are manufactured from fibron, the same material used to make formers for pickup winding. They're accurate, hard-wearing and feel great in the hand. 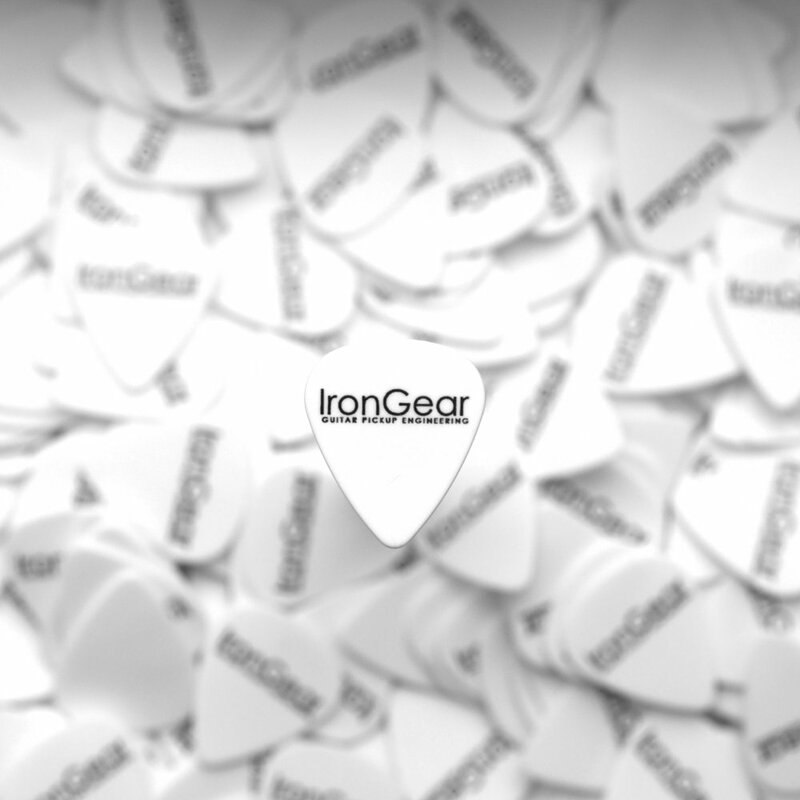 These picks are only available in 1mm thick material (which make them "Heavy" gauge). Just what you've always needed! 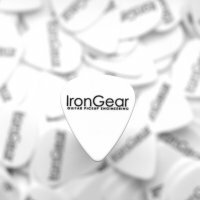 Beautifully finished picks with the IronGear logo. Life gets no better than this.